In this article electronic funds transfer, EFT, Visa and MasterCard, smart card, Spamming and spyware, online CIB, Internet and intranet, website, ICT Policy Scenario in a Developing Countries etc have been discussed. 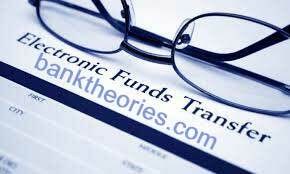 An electronic funds transfer (EFT) is a transaction that takes place over a computerized network, either among accounts at the same bank or to different accounts at separate financial institutions. It is a system of transferring money from one bank account directly to another without any paper money changing hands. EFTs include direct-debit transactions, wire transfers, direct deposits, ATM withdrawals and online bill pay services. Transactions are processed through the Automated Clearing House (ACH) network, the secure transfer system of the Federal Reserve that connects all U.S. banks, credit unions and other financial institutions. For example- when you use your debit card to make a purchase at a store or online, the transaction is processed using an EFT system. The transaction is very similar to an ATM withdrawal, with near-instantaneous payment to the merchant and deduction from your checking account. Direct deposit is another form of an electronic funds transfer. In this case, funds from your employer’s bank account are transferred electronically to your bank account, with no need for paper-based payment systems. * Fast and secure direct deposit of your claimed documents. * Less / reduce paper works. * Improve safety and control. * manage cash flow easily. * Increase efficiency and productivity. * Easy reconciliation of direct deposits. * Eliminate the risk associated with lost, stolen and misdirected checks. * e-mail notifications the day deposits are made. The field transfer process generally consist of a series of electronic messages sent between financial institutions directing each to make debit and credit accounting entries necessary to complete the transaction. The fund transfer can generally be described as a series of payment instruction messages, beginning with the originator's (sending customers) instructions, and including a series of further instructions, with the purpose of making payment to the beneficiaries (Receiving customers). * Transfer of money between banks like RTGS ( Real time Gross Settlement). * Transaction between computers of different organizations and banks computers. * Transaction through Automatic Teller Machine . Master Card & VISA Card. 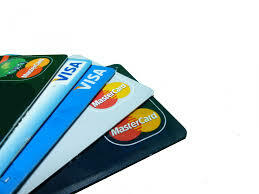 Visa and MasterCard are used the world over to make payments using and represent global credit card companies. Though the differences between these two methods of payment were discernible in the past the same cannot be said of the present as they are almost identical. Differences may emerge when looking at the interest rates charged on the particular cards. Master Card Worldwide (NYSE:MA) is an American multinational corporation with its headquarters in the Master Card International Global Headquarters in Harrison, New York, United States. Visa Inc. (NYSE: V) is an US multinational corporation with its headquarters in Foster City, California. Visa targets consumers, businesses, financial institutions and governments in more than 200 countries and territories. A smart card, chip card, or integrated circuit card (ICC) is any pocket-sized card with embedded integrated circuits. Smart cards are made of plastic, generally polyvinyl chloride, Smart cards can provide identification, authentication, data storage and application processing. Smart cards may provide strong security authentication for single sign-on (SSO) within large organizations. 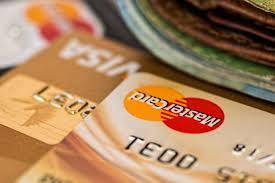 A smart card resembles a credit card in size and shape, but inside it is completely different. First of all, it has an inside a normal credit card is a simple piece of plastic. The inside of a smart card usually contains an embedded microprocessor. The microprocessor is under a gold contact pad on one side of the card.  Loyalty systems (like frequent flyer points). A website is a collection of web pages (documents that are accessed through the Internet), such as the one you're looking at now. A web page is what you see on the screen when you type in a web address, click on a link, or put a query in a search engine. A web page can contain any type of information, and can include text, color, graphics, animation and sound. When someone gives you their web address like http://www.banktheories.com it generally takes you to their website's home page, which should introduce you to what that site offers in terms of information or other services. From the home page, you can click on links to reach other sections of the site. A website can consist of one page, or of tens of thousands of pages, depending on what the site owner is trying to accomplish. 1. To find information they need. This could be anything from a student looking for pictures of frogs for a school project, to finding the latest stock quotes, to getting the address of the nearest Thai restaurant. 2. To complete a task. Visitors may want to buy the latest best-seller, download a software program, or participate in an online discussion about a favorite hobby. The main thing to remember in creating a website is that you're not creating the website for you; you already know about the information or service you have to offer. You're creating the site for your visitors, so it should contain the content they want, and be organized in a way that makes sense, even to an outsider. Electronic spamming is the use of electronic messaging systems to send unsolicited bulk messages (spam), especially advertising, indiscriminately. While the most widely recognized form of spam is e-mail spam, the term is applied to similar abuses in other media: instant messaging spam, Usenet newsgroup spam. Spamming remains economically viable because advertisers have no operating costs beyond the management of their mailing lists, and it is difficult to hold senders accountable for their mass mailings. Because the barrier to entry is so low, spammers are numerous, and the volume of unsolicited mail has become very high. 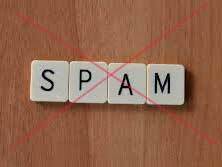 In the year 2011, the estimated figure for spam messages is around seven trillion. The costs, such as lost productivity and fraud, are borne by the public and by Internet service providers, which have been forced to add extra capacity to cope with the deluge. Spamming has been the subject of legislation in many jurisdictions. Spyware is software that aids in gathering information about a person or organization without their knowledge and that may send such information to another entity without the consumer's consent, or that asserts control over a computer without the consumer's knowledge. "Spyware" is mostly classified into four types: system monitors, trojans, adware, and tracking cookies. 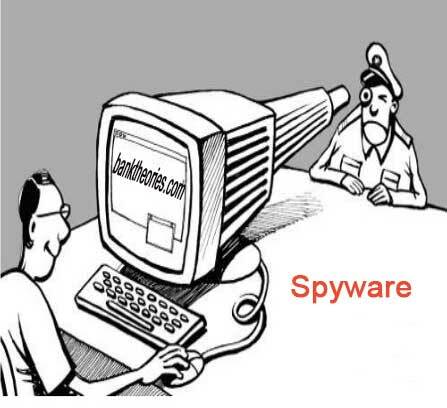 Spyware is mostly used for the purposes such as; tracking and storing internet users' movements on the web; serving up pop-up ads to internet users. Whenever spyware is used for malicious purposes, its presence is typically hidden from the user and can be difficult to detect. Some spyware, such as key-loggers, may be installed by the owner of a shared, corporate, or public computer intentionally in order to monitor users. While the term spyware suggests software that monitors a user's computing, the functions of spyware can extend beyond simple monitoring. Spyware can collect almost any type of data, including personal information like Internet surfing habits, user logins, and bank or credit account information. Spyware can also interfere with user control of a computer by installing additional software or redirecting Web browsers. Some spyware can change computer settings, which can result in slow Internet connection speeds, un-authorized changes in browser settings, or changes to software settings. Sometimes, spyware is included along with genuine software, and may come from a malicious website. In response to the emergence of spyware, a small industry has sprung up dealing in anti-spyware software. Running anti-spyware software has become a widely recognized element of computer security practices for computers, especially those running Microsoft Windows. A number of jurisdictions have passed anti-spyware laws, which usually target any software that is surreptitiously installed to control a user's computer. To create a disciplined environment for borrowing, the automated CIB service provides credit related information for prospective and existing borrowers. With this improved and efficient system, risk management will be more effective. Banks and financial institutions may furnish credit information to CIB database 24 by 7 around the year; and they can access credit reports from CIB online. 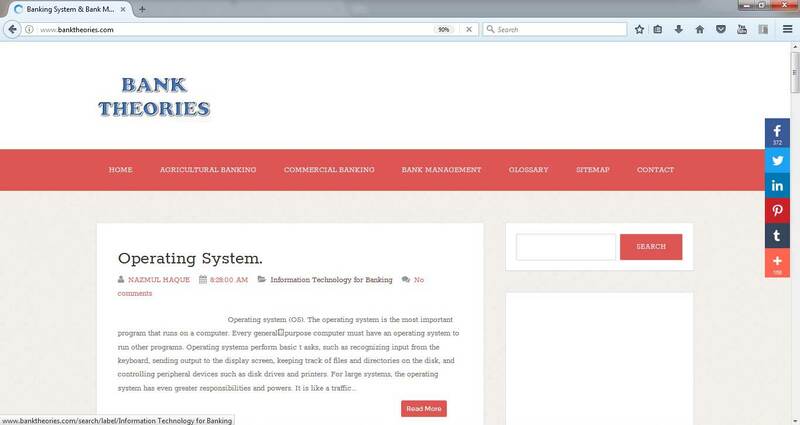 Users: Banks and Financial Institutions.  Internet is a world-wide/global system of interconnected computer networks.  Every computer in internet is identified by a unique IP address.  IP Address is a unique set of numbers (such as 110.22.33.114) which identifies a computer location.  A special computer DNS (Domain Name Server) is used to give name to the IP Address so that user can locate a computer by a name. 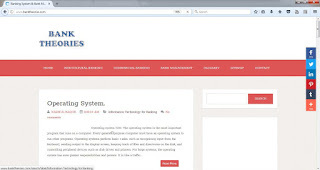  For example, a DNS server will resolve a name http://www.tutorialspoint.com to a particular IP address to uniquely identify the computer on which this website is hosted.  Internet is accessible to every user all over the world.  Intranet is system in which multiple PCs are networked to be connected to each other.  PCs in intranet are not available to the world outside of the intranet.  Usually each company or organization has their own Intranet network and members / employees of that company can access the computers in their intranet.  Each computer in Intranet is also identified by a IP Address, which is unique among the computers in that Intranet.  Intranet uses the internet protocols such as TCP / IP and FTP.  Intranet sites are accessible via web browser in similar way as websites in internet. But only members of Intranet network can access intranet hosted sites.  In Intranet, own instant messengers can be used as similar to yahoo messenger / gtalk over the internet.  Internet is general to PCs all over the world where Intranet is specific to few PCs.  Internet is wider access and provides a better access to websites to large population whereas Intranet is restricted.  Internet is not as safe as Intranet as Intranet can be safely privatized as per the need. ICT Policy Scenario in a Developing Countries.  ICT has been given considerable importance from the Prime Minister’s Office in the last few years.  A National ICT Task Force has been formed which is headed by the Honorable Prime Minister.  The Executive Committee of the National ICT Task Force, headed by the Honorable Principal Secretary, administers the implementation of decisions taken by the Task.  A program called the Support to ICT Task Force (SICT) has been initiated, with financial support from the Government, to provide implementation and monitoring support to the Task Force.  The Ministry of Science and Technology has been renamed as the Ministry of Science and ICT and has been entrusted the duty of working as the primary hub for ICT policy and implementation in the country.  The Ministry of Science and ICT has come up with a comprehensive ICT Policy in 2002. - Hosts the Support to ICT Task Force (SICT) Program to implement objectives of the ICT Task Force, particularly in areas of e-Government. - Advisory support to govt. institutions regarding ICT. - Facilitate computerization at govt. institutions and schools. - Building and maintaining of telecommunication infrastructure.  ICTE and Capacity Building.  Support to ICT Industry.  Applications of ICTs for Socio-Economic Development.  Financing of ICT-Related Projects.  Research and Development in ICT.  What Has Been Achieved.  What Has NOT Been Achieved.  Facilities shall be built to promote ICT training and computer aided training at all levels of education including Primary Schools and Madrasahs.  Universities, Bangladesh Institutes of Technology and colleges, both in the public and private, shall be strengthened to produce ICT graduates in four-year Computer Science and/or Engineering courses.  Establish multimedia institutes up to district level.  Diploma and Trade Certificate in ICT will be offered in both public and private institutes including Polytechnics.  Use the potential of ICT for delivery of distance education to help stretch the country’s limited teaching resources and ensure quality education to all.  Preference shall be given to ICT literate candidates for the purpose of recruitment in public offices. ICT-literacy shall also be evaluated in the Annual Confidential Report (ACR) of officials to ensure utilization of ICTs in the public services.  Computer science as a course has been introduced at the high school level, but has not been mandatory. A fair number of students are taking this course at the high school level.  Almost all public and private universities pay particular emphasis on training students in ICT-related fields.  Different public offices have taken up initiatives to provide ICT training to government officials and staff.  The Ministry of Science and ICT and its subsidiary Bangladesh Computer Council are playing important roles in training public officials, school teachers and also citizens at low cost.  Private ICT training institutes have sprung up in large numbers over the last few years in major urban centers.  The Ministry of Science and ICT has introduced an ICT Internship Program in cooperation with the private sector, to support the development of quality professionals for the ICT industry.  Due to lack of adequate number of working computers in public high schools at rural level and lack of sufficiently trained teachers, most students do not get enough exposure to ICT.  Not enough jobs are getting created to absorb the ICT-trained human resources.  Much of the government IT training is isolated and project-based a coordinated national effort to build ICT capacity in the government is yet to be implemented.  ICT-based education is not a policy priority.  Excessive emphasis on computerization without sufficient consideration to enabling factors such as teachers training, curriculum modernization etc. This was highly informative and got me insight on the latest payment systems and the challenges and opportunities that come with it. Nicely Done!